You don’t have to don your wellies and get your hands dirty when you stay at The Lint Mill but some of our visitors choose to stay here because they enjoy experiencing life on a working smallholding. You are welcome to do as much or as little as you like while you are staying. Please talk to us and we’d be happy to share our experience of surviving and thriving on our land with you. You are very welcome to get to know our animals during your stay with us. The sheep are very friendly, and there are our dogs, horses, hens, ducks, pigs, Cyrano, Amelie and Miss Bennett the geese, Mayur our peacock and Jack the donkey. 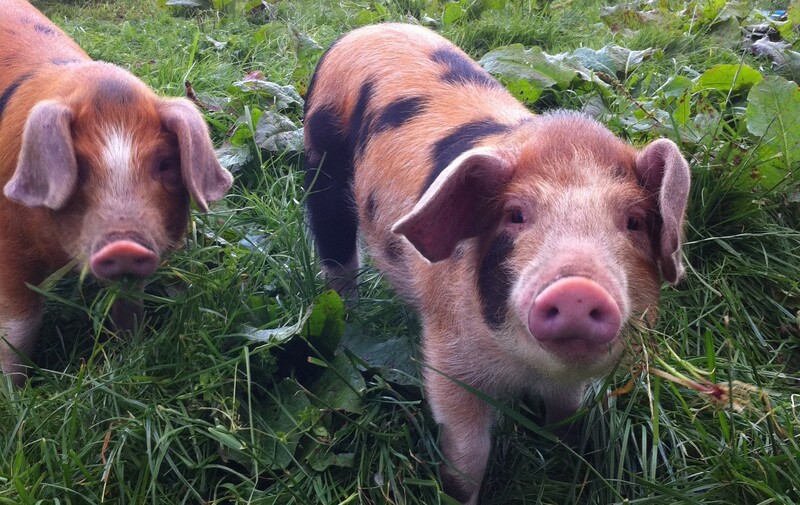 We have a particular interest in traditional and native breeds, and produce our own rare breed, organically reared pork, lamb, mutton and eggs. 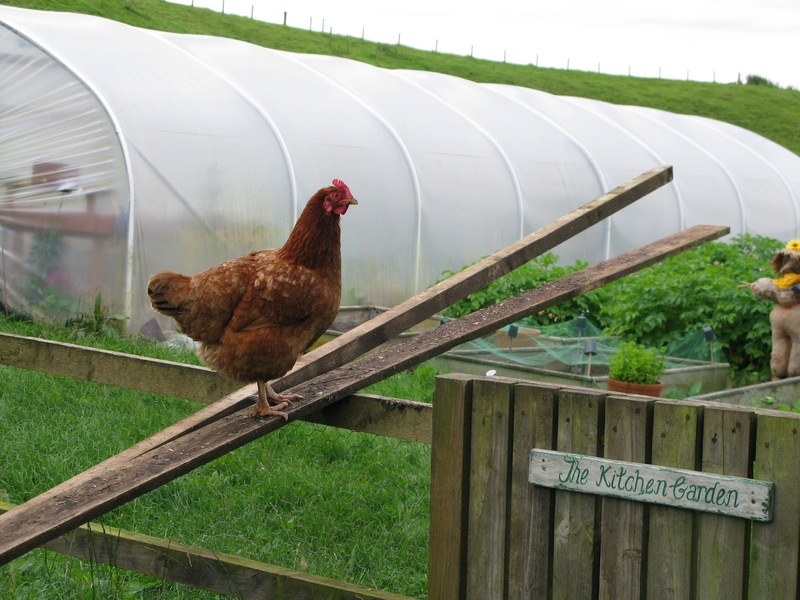 We keep Shetland, Hebridean and Soay sheep, Oxford Sandy and Black pigs and Cream Legbar, Leghorn and Orpington hens. We aim to be self-sufficient in food production and we work towards a low impact lifestyle, utilizing organic principles. We grow almost all our own fruit and vegetables and we are happy to pass on our experiences in grappling with self-sufficiency. Since moving to The Lint Mill in October 2009 we have created a large kitchen garden with lots of raised beds, a 48ft polytunnel, a fledgling orchard and a soft fruit cage. There is always a good selection of home grown seasonal vegetables available throughout the year, from early purple sprouting broccoli, through many varieties of bean, cabbage, salad crops and root vegetables in the winter, all of which we are happy to share with our guests. If you would like to take a veg box and eggs home with you, please ask as they are always available to buy.